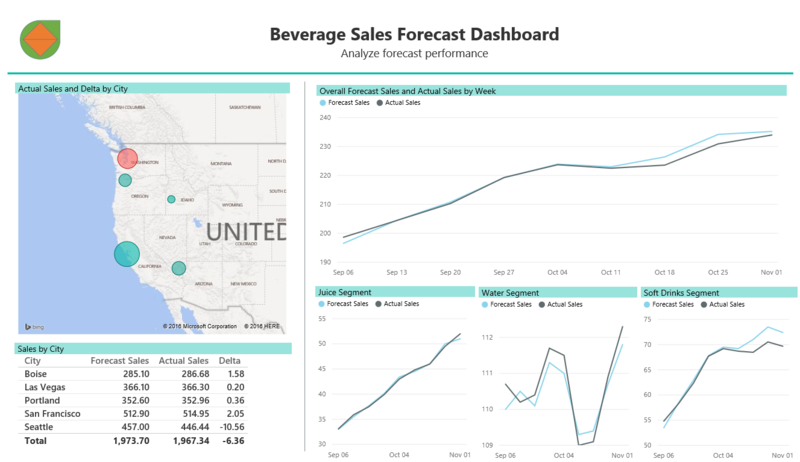 Identify true sales drivers and adapt to changing market conditions using Azure Machine Learning models that fuel Power BI dashboards which answer the simple question: Why are sales happening? The sales environment is always changing. Identifying and quantifying these changes is the first step to a more agile business. 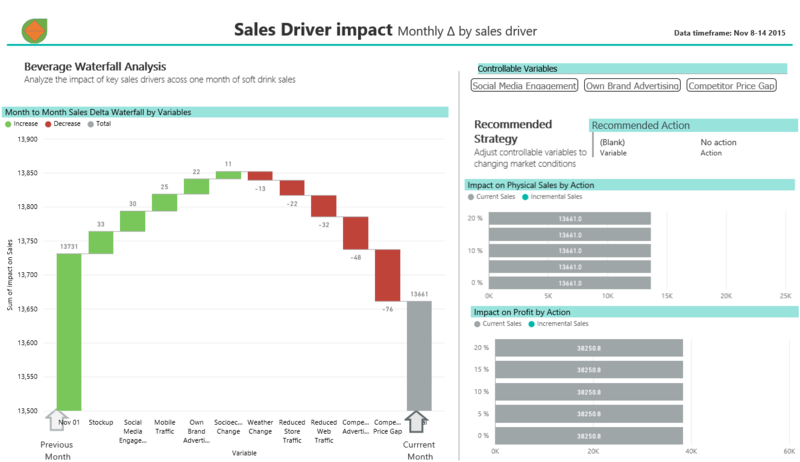 By comparing data from internal and external business drivers, you can identify the impact of key forces on your business and react sooner. This sales decomposition and forecasting dashboard for the beverage industry is applicable in many verticals and uses Azure Machine Learning to model the effects of variables like competitive price gaps, holidays, marketing spend, and many more. 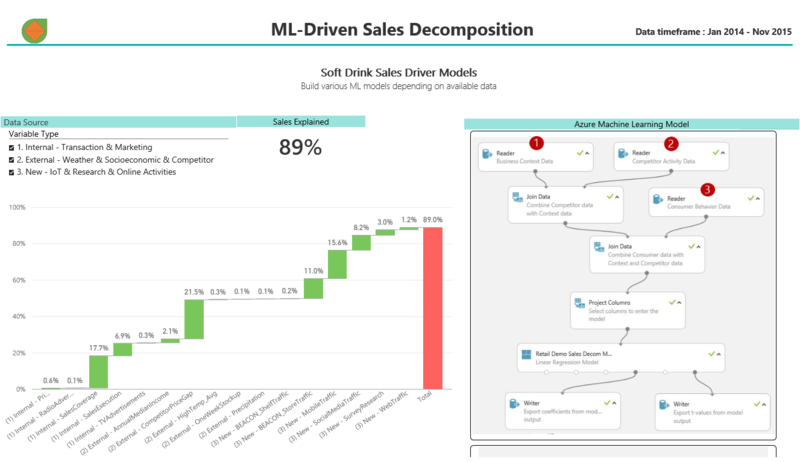 Using Neal Analytics’ models and Azure Machine Learning, we can help you understand the factors behind weekly and monthly sales deltas, help you determine the degree to which each factor is affecting your sales, and optimize your selling for an ever-changing market dynamically, as soon as the data is available. 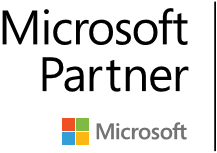 This solution contains both Azure Machine Learning and Power BI components working together in concert, consuming historical sales data, external market condition data, and internal business driver data. Data is sourced from internal CRM, ERP, EDW, or IoT platforms and paired with data from Neal Analytics partners like Accuweather and Acxiom along with publicly available sources to get the most complete sales decomposition on the market.